No enemy has been able to injure him in any way, or even survive from a single earnest punch! That’s our strongest super hero, Saitama! As we have completed the Saitama costume development, we are now moving to the cosplay tutorial. 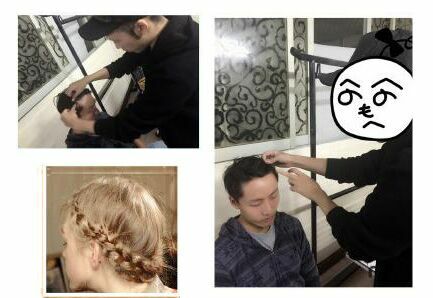 Firstly, comb your hair backward and use wax to keep it fixed. At this step, make sure to expose your hairline fully Put on the bald cap, mark carefully along the hairline with pen and spare some room where the needless part is to be cut off. Then, cut off the extra part, if you want to avoid any hair cutting or hurting yourself, take it off and do it on a desk. Done cutting, put on the cap again and adjust the position when wearing. Then use swabs to apply the glue little by little along the egde. We’ve come to an important step here, use edge past to smooth the edge and make it natural. Adjustable plastic wax is also workable. Finally, coloring! 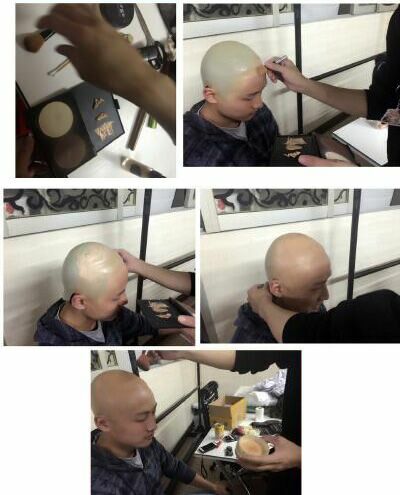 Mix foundations of different colors according to the cosplayer’s skin condition. 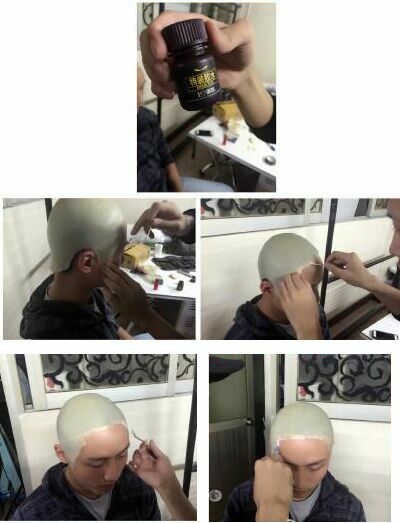 Color the edge first and gradually brush to the whole head. 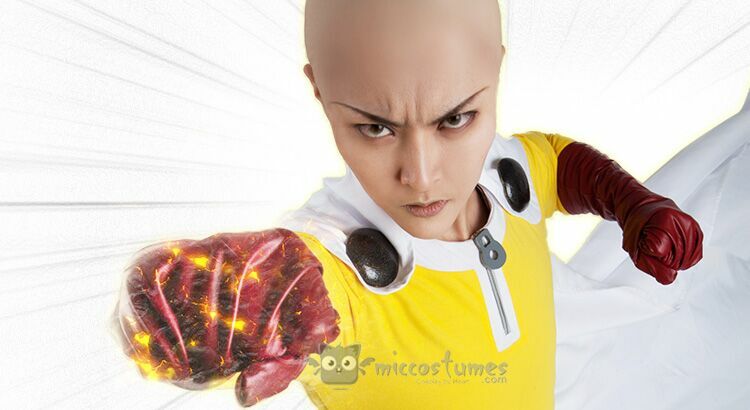 You can find more One Punch Man costumes and armors at miccostumes .com including Genos cyborg arm, Speed-o’-Sound Sonic, and Tornado of Terror.